The Atari 2600 is the first video game console most people think of, when someone brings up classic video games. 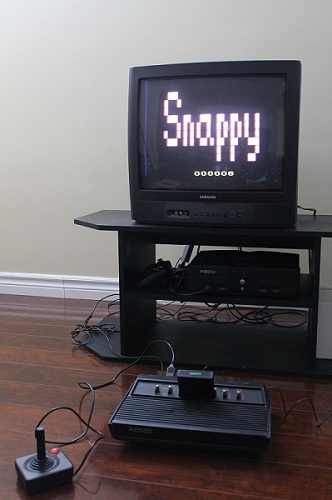 It was extremely influential, and lasted the longest out of all games systems to date. (causing Neo Geo AES to be second - darn!). For this project, I've used batari Basic. It's a nice Basic compiler, which absolves the programmer from having to spend an absurd amount of time learning the assembly language for the 6507 processor, which is used by the 2600. Writing a game in Basic took me back to my ZX Spectrum days, and it was great! The goal of the game is to get as many men across Snappy's pit as possible. Each game starts with ten men, and each of them gets parachuted at a random spot, so you have to time your jumps well. Only one button is used - fire. 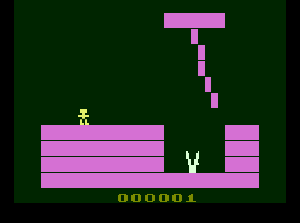 It will start a new game when on the menu screen, and it will cause a man to start running, trying to make it across the pit. I liked Basic's "prototype" feel. It's really easy to try out new graphics, and tweak game code. I've written comments, but let's be honest here - it's Basic! The language itself was meant to be extremely readable, so the code should be quite easy to understand. 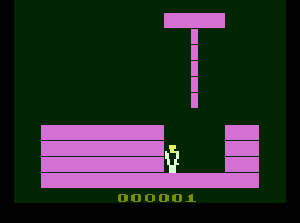 In terms of technical aspects, player 0 is your current man, player 1 is Snappy. The vine is part of the background. The vine sounds are always output via voice 0. All other sounds that may be heard at the same time as the never-halting vine are output via voice 1. 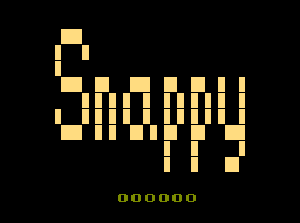 Snappy is getting hungry, so don't keep him waiting! 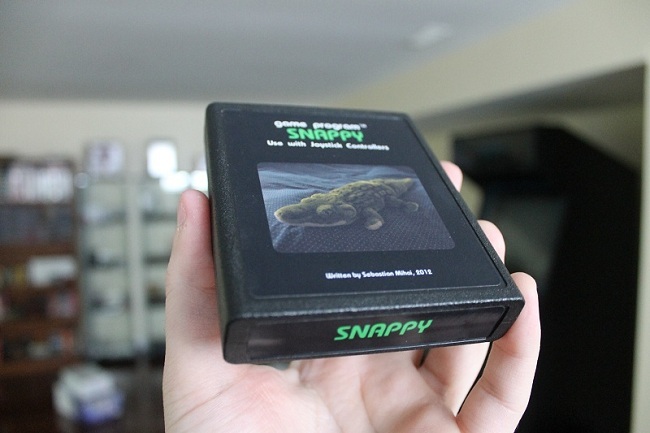 Here is the cartridge version of Snappy! And here is the cartridge running on real Atari 2600 hardware!